You have three primary lighting options on the market now on a commercial basis. You have the original incandescent lights which are slowly being phased out. You have CFL's which will follow suit for different reasons and you have LED, the eventual answer to problems of the other two. Let's take a look at CFL's and try to understand why it was only a temporary fix to the core issues with incandescents and why LED's are will be the end-game for lighting. So what's the problem with CFL's? First, what is a CFL bulb? CFL stands for Compact Fluorescent Light(ing). Basically, they took the technology of the fluorescent bulb and squeezed it down to a smaller (hence the compact) form factor so it could run in existing sockets. Essentially, a CFL uses electricity to excite gas trapped in its tube. The gas then emits this extra electric power as light. Traditional fluorescent lights require a ballast, an electronic gateway that controls the quality and quantity of electric power to the gas so that the light output is stable. CFl's have their ballast built directly into the base or socket of the bulb individually which is why they tend to be a little longer than their incandescent replacements (more so when they first came out). So what benefits did CFL's bring to the market allowing them to survive and flourish against incandescent lights? Incandescents have two very big weaknesses. First, they are terribly inefficient at generating light. They are much better at generating heat with 90% of the energy output being heat. Secondly, they are very fragile and susceptible to failure both due to the vacuum glass housing and the fact that some substrate must be heated to very high temperature in order to generate the light. So high cost to generate relative amount of lumens and short lifespan. That's where CFL's came on the scene. CFL's are more efficient in terms of converting electricity into light. If a 60 watt incandescent generates a certain amount of light, the corresponding CFL might drop that to 23 watts or less. We're using half the energy now to power our lighting requirements. The lifespan of the average CFL bulb is also much higher. If an incandescent standard bulb typically lasts 2000 hours, you can expect to get roughly double that or 5000 hours from a CFL. So all good news, right? Why would we even look at LED's then as a superior value proposition to CFLs. CFL's come with some nasty baggage. First, there are very toxic chemicals required to make them work, most notably mercury and phosphorus. As mentioned above, they do eventually fail and if you have 100's of thousands or millions of bulbs being disposed of each year (some properly but many end up in the trashcan and landfill) each year, you quickly have a toxic nightmare. It's not a long term fix to our lighting needs solely based on this disposal issue. What about the lifespan and cost of lighting power benefit? 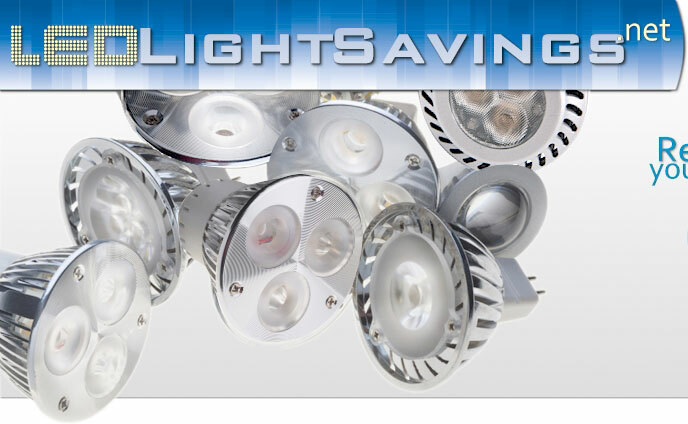 What positives that exist and originally ushered in the CFL light to market are only magnified by LED lighting. LED lights are even more efficient in terms of watt to lumen conversion than CFL with that same 60 watt incandescent coming down to roughly 3 watts for LED lights. They are also much more sturdy with that CFL lifespan of 5000 hours increasing to 50000 hours for our LED lighting technology. This is why our LED lights, over a 5 year window, will significantly beat both incandescent and CFL's as a value proposition. Light bulbs will now make the important journey from expense to investment and future generations will thank us for the effect on the environment for generations.